As a music critic, I have been challenged to a boxing match with a publicist, promised a black eye from an indie rocker and threatened with a libel lawsuit. Death threats have popped up in my in-box. A German goth wrote me, “Your god is dead.” And yet, I don’t regret any of the record reviews (yes, record reviews) that prompted those reactions. But one of the 500 or so rambling pieces I wrote as a Pitchfork brat still sticks in my craw. In 1999, I moved to Chicago from Atlanta with my buddy and Pitchfork founder to make the music website a semilegitimate media outlet. I also grew a chip on my shoulder about living in the Midwest, not New York. Around the same time, some thug broke into Sonic Youth’s touring van and stole all its gear. The iconic Gotham band, always one of my favorites, responded by buying new equipment and recording NYC Ghosts & Flowers, an album of pointilist, tuneless, beatnik street jazz. It couldn’t have been more Manhattan art scene had it been Jean-Michel Basquiat reading slam poetry over John Zorn’s ringtones. Come to think of it, that’s basically what it sounds like. I hated its clichéd New Yorkishness. So I ripped it a new one, deeming it a 0.0 on our knowingly silly, arbitrary decimal scale. 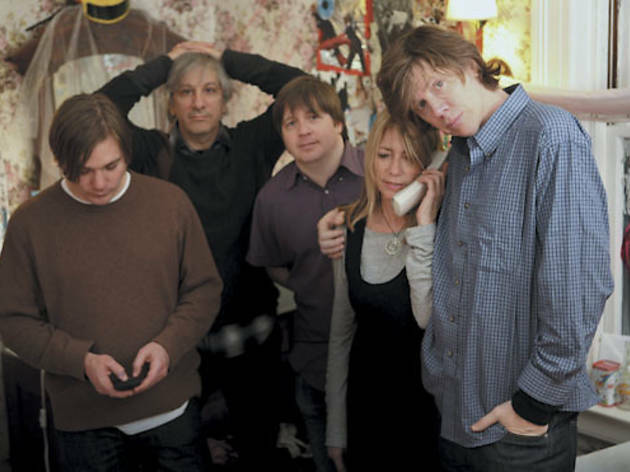 A decade later, I was on the phone with Thurston Moore, SY’s guitarist and singer, for a Time Out Interview. I mentioned that the Rolling Stones’ maligned Emotional Rescue reminded me of his group’s guitar interplay. He recalled that being the only cassette he owned while living in some dingy apartment in New York in the late ’70s. So, hey, we’re hitting it off. He’s a friendly guy. Why not bury the hatchet? “Do you remember that cranky adolescent who gave your record a zero rating?” I asked. “Er, yeah, that was me.” He laughed. Thank goodness, he laughed. “We loved that review! That was great!” Moore said. I apologized and told him that I now love the record. It’s unlike anything else, eerie and beautiful. The fiftysomething eternal punk told me never to be sorry for the nonsense I typed. No, the lesson here is: Beware the opinions of a kid right out of college.